GRC practices should deliver tangible value to the business. Does yours take strategy into account? Does it drive business performance? Are you currently utilizing your GRC practices to plan, implement, assess, and improve transformations? A GRC Architecture approach provides visibility into the business to foster alignment with strategies, business processes, information systems, and corporate objectives. Who can use/benefit from a GRC Architecture? 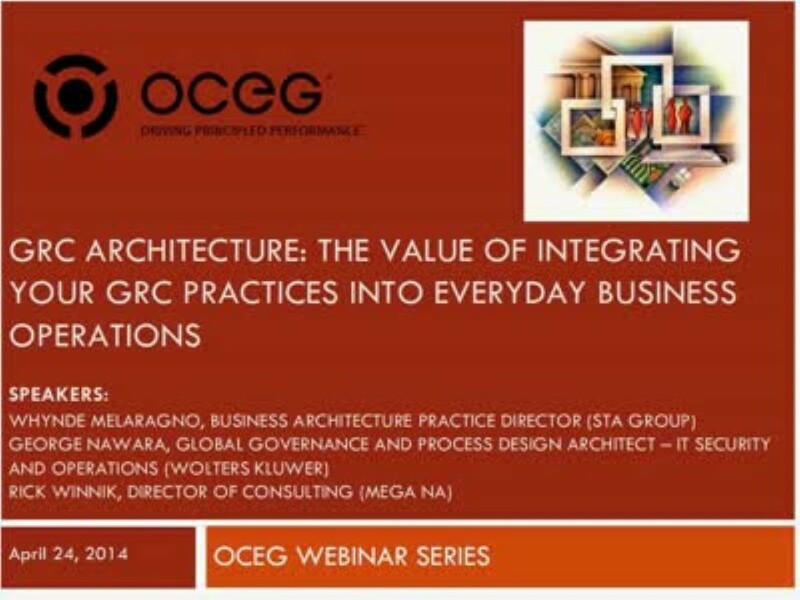 How does GRC Architecture relate to or integrate with Enterprise Architecture? What resources will be available to help accelerate your GRC Architecture? Richard Winnik, Director of Consulting, MEGA NA Inc.